Welcome to the second course, Understanding Recovery, in the series, Fundamentals of Psychosocial Rehabilitation. This series addresses the values, beliefs and principles that are the foundation of psychosocial rehabilitation and recovery- oriented practice. 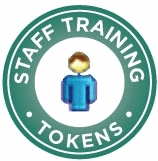 Each class is self-contained and will take approximately 1 to 3 hourse to complete. Credit can be applied to the required hours of education to meet the qualifications to sit for the Certified Psychiatric Rehabilitation Practitioner (CPRP) exam. For more information, see the USPRA Certification website. 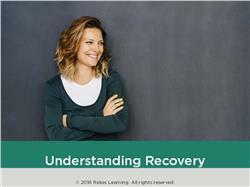 www.uspra.org Course two, Understanding Recovery, addresses the concept of recovery from mental illness. It includes 1st person stories of recovery and research that demonstrates that the majority of individuals diagnosed with a serious mental illness can, and do, recover. It explores the implications of recovery for practice, programs and service systems. It includes exercises to enhance the learning experience as well as video clips which highlight the experiences of persons in recovery. This is an introductory course, designed for people who are new to the concept of recovery from serious mental illness. Define the concepts of wellness, recovery, and resilience as applied to adults with a psychiatric disability. Cite stories of individuals who have recovered. Examine the implications of recovery on practice, programs, and service systems.